Taylor Cornelius tied a Liberty Bowl record with four touchdown passes and Kolby Peel made a critical fourth-down stop with 1:01 left as the Cowboys upset No. 24 Missouri 38-33 on Monday. The teams combined for 1,139 total yards in the type of game that the Big 12's high-powered offenses produce on most autumn Saturdays. Missouri left the Big 12 for the Southeastern Conference in 2012. 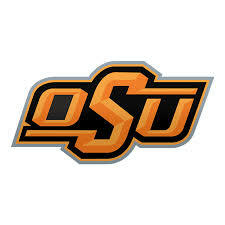 Missouri (8-5) faced fourth-and-1 from Oklahoma State's 9-yard line when quarterback Drew Lock attempted a keeper around the right end. Peel, a freshman, made a diving ankle tackle that stopped Lock short of the first-down marker. That allowed Oklahoma State (7-6) to survive a game it had led 35-19 heading into the fourth quarter. The Cowboys snapped Missouri's four-game winning streak and avoided their first losing season since 2005, the first year of Gundy's tenure. Cornelius, a fifth-year senior and former walk-on, went 26 of 44. His four touchdown passes tied a record set four previous times in the Liberty Bowl's 60-year history. Cornelius also threw two interceptions to Cam Hilton that sparked Missouri's comeback try. Both interceptions led to Missouri touchdowns - an 86-yard completion from Lock to Memphis resident Johnathon Johnson and a 55-yard run by Larry Rountree III. Rountree ran for 204 yards and Johnson caught nine passes for 185 yards. Lock was 23 of 38 for 373 yards with three touchdowns and no interceptions. Chuba Hubbard rushed for 145 yards and a touchdown for Oklahoma State. Tyron Johnson had seven catches for 141 yards and two touchdowns. Missouri wasted two chances to take the lead in the fourth quarter. Oklahoma State was clinging to a 35-33 lead when Mike Scott blocked Tucker McCann's 42-yard field goal attempt with 9:22 left. Matt Ammendola kicked a 27-yard field goal that extended Oklahoma State's lead to 38-33 before Peel's tackle sealed the win.